Ever since being introduced to mereology by my friend and philosophical co-presenter/mentor, Stephen P. King, (you can hear one of those introductions in our recent radio chat), I have thought in the back of my mind that there is either something promising or distracting about it. Is it a piece to the puzzle, or a piece that doesn’t belong? This itself is something of a mereological question. Mortality and mereology seem like an unlikely pairing at first glance. Mortality is such a powerfully real and ubiquitous influence on living beings and this philosophical study of parthood relations is so abstract and obscure, but what is it death except a cessation of wholeness? A bullet hole will perforate and fragment, a heart attack will stop the circulatory support for the brain, old age will chip away at all of the systems until one part fails to prop up the whole. Death, decay, and disintegration are closely related. With Stephen’s knowledge of mathematics and philosophy, we have long been trying to put our finger on the precise nature of the subject-object dualism. While my mind favors word pairings rooted in direct experience, like literal-figurative, sensorimotive-electromagnetic, perceptual-relativity, and significance-entropy, his intellectual territory covers more formal models of analytical mathematical truth, the Stone duality, The Pontryagin duality, Bisimulation, Non-wellfounded Set Theory, etc. in which TX is the algebra (maybe of open subspaces) associated with a geometrical object X, and PA is the space of primes of an algebra A. It is a revolutionary theory of topological spaces and continuous functions that treats them directly, just as traditional geometry was about lines and circles, without smashing the continuum into dust. ASD provides a natural language for real analysis that describes the solution-space of an equation continuously in its parameters, even across singularities. Since it is presented syntactically, in a way that generalises ordinary algebraic notation, it is inherently computable. It was inpired by Marshall Stone’s study of the categorical duality between topology and algebra, taking his slogan “always topologize” seriously by topologising the topology. It also exploits the analogy between continuous and computable functions, on which Dana Scott built the theory of denotational semantics of programming languages. “The term non-wellfounded set refers to sets which contain themselves as members, and more generally which are part of an infinite sequence of sets each term of which is an element of the preceding set. …The topic of bisimulation is one of the earliest goals in a treatment of non-wellfounded sets. If x → x′, then there is some y → y′ such that x′ Ry′. If y → y′, then there is some x → x′ such that x′ Ry′. These are sometimes called by the suggestive names zig and zag. The Stone duality in particular has come up early and often as a natural fit for what I see as the ACME-OMMM continuum (is it too pretentious to call it the אΩc?). Stephen has suggested that my conception of the אΩc maps to the Stone duality; that the relation between subjecthood and objecthood is equivalent to the equivalence between topological spaces and logical algebras. This is important because it fits with my idea of qualia as subtractive gestalts. By subtractive I mean that our experience of making sense is of recovering gestalt wholeness through eliding or subtracting out the gaps. In this sense, qualia can be described as the ur-algebra, from which all algebra follows. In the Stone duality too, algebra is distinguished from geometry especially because of its ability to represent a continuous process rather than a static grouping of vectors. This continuous nature of algebraic process fits with my understanding that ‘time’ is not a natural primitive but an artificial derivative of experienced qualities like sequence, symmetry, and repetition. Here I am trying to get under the floorboards of the Church-Turing and question what mathematics takes for granted: Pattern, pattern recognition, sense-making. Symbol grounding and realism will come later as a consequence of multiple sense channels. The word algebra then has two important pieces to the ACME side – the idea of subtractive gestalts and continuous process. So far so good. The problem I have is with the mathematical constraint. Logic, binary or otherwise, is the life’s blood of all of mathematics and while life is filled with logics, I am convinced that we cannot get to feelings and participation from number operations alone. With the poetic heights and psychotic depths of far ACME (‘Oriental/East’) phenomenology, it must be recognized that there is a reason that logic seems to fail us. Logic gives us ideal truth values of 1 or 0, but not experiential-particpatory values of good or bad. Our sense of ‘awesome’ or ‘horrifying’ is not simply doubleplus true/untrue. I think it is more accurate to say that our qualities of experience cast shadows that can be quantified, but it is not possible to reconstruct the experience from only those shadows. If someone had to recreate our universe from scratch using only our descriptions of it, there is no way they could wind up with anything like what we experience using only a logical, rational framework. We need something beyond forms and scripted processes, beyond parts and wholes, something like Trans-Rational Algebras and Immereology. In part I, I looked at applying (my limited understanding of) the Stone Duality to the multisense continuum. The idea of logical algebras vs topologies makes sense in many ways to describe how subjectivity contrasts with objectivity, especially if we treat the topology side literally and the algebra side figuratively. Algebra is interesting because it distills the representational power out of numbers and uses it against them. The idea of “x=” is a spectacular bit of basic intellectual gymnastics, and I would say the foundation of all higher math and science. One of the reasons why it is so important is that it represents a discovery of something about how we think in the real world. Put these together and algebraic transformations give us the power to mechanize real world processes. A formula is a kind of template of formed sense, an idea of a set of ideas which are crystallized or fixed like a mold through which we can conduct a customized yet auto-matic process. Automatic: Self-willing. It does the work for us. Symmetry (from Greek συμμετρεῖν symmetría “measure together”) generally conveys two primary meanings. The first is an imprecise sense of harmonious or aesthetically pleasing proportionality and balance; such that it reflects beauty or perfection. The second meaning is a precise and well-defined concept of balance or “patterned self-similarity” that can be demonstrated or proved according to the rules of a formal system: by geometry, through physics or otherwise. That parallel is also the same parallel of ACME-OMMM. Symmetry is a both a subjective aesthetic experience and it is a deferred experience of calculation also. Symmetry imparts both a feeling of significance and it can be computed as an arithmetic relation. How does it do this? Understanding symmetry seems to hold the key to understanding sense itself. To experience symmetry, first there has to be pattern recognition to separate and define something as distinct from everything. You need a form of attention that not only allows attention to forms, but qualitatively appreciates form in general. This would seem to transcend the assumptions of theories of qualia based on representation alone, as symmetry detection evaluates not only what a particular form means but the degree to which it fulfills an expectation of completeness. Symmetry is part of that completeness, and but it is a part which has a special twinkle. It amplifies significance, so that the more nested levels of symmetry you add, the more of an impression (for better or worse) it makes. This strikes me as more profound even than it seems. So much so that I would excise the word ‘merely’. The idea of something standing in relation to itself is nothing short of a miracle. In order to relate to itself, something has to be able to, in some sense, also not be itself. This is how identity functions. To say A=A only works because the sameness of A and A is brought to our attention by presenting them grammatically in two separate instances. We mentally fill the gap between the two lines of the equals sign, which is the same gap between the two A’s. Through a presentation symmetry, we are invited to infer an unpresentable relation. This happens through time as well, through tempo and rhythm. Wholes become parts by reflecting wholes. This is what vertically integrates the different levels (castes) of perception and structure. 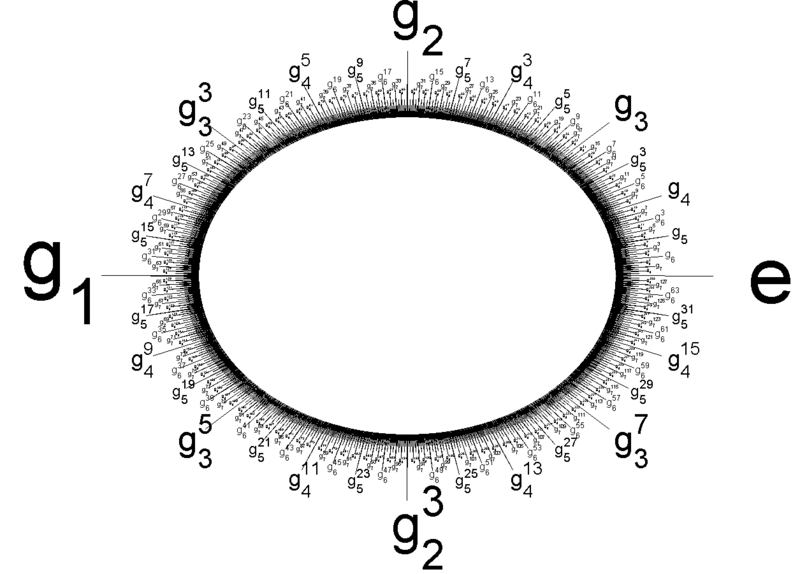 Each level recapitulates the others in a fisheye distortion of frequency and scale that presents its own inertial frame, with itself as the nucleus, as the maximally significant frame. The good news: sanity. We don’t have to be aware of the problems of every part of the cosmos. The bad news: isolation. To have richly qualitative subjective experience, you have to borrow the significance from somewhere. Most everything we do is a circuit. It’s Monday, again. It’s summer, again. Time to do the laundry again, etc. Circuits within circuits, we revolve around a multi-symmetrical meta helix of nested perception. I remain convinced that these purely mathematical approaches are too aloof from the kind of visceral substantiation that I am looking for. Logical algebras can solve parts into a whole*, but the whole is still an abstraction no different than the parts. There is no symbol grounding, no core authenticity to lend realism. Add a new kind of mereology to this though, and maybe we can get somewhere. In the actual universe in which we live and breathe, perhaps we need to compare apples to pomegranates instead of apples to apples (this is opening up a whole other Middle Eastern synchronicity apparently). 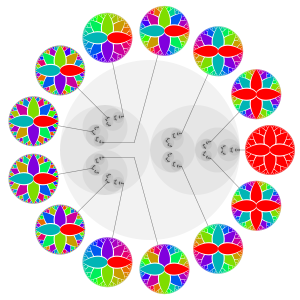 The parthood that we see in mereology is one which turns logic toward understanding the computable aspects of parts and wholes from a topological perspective: a literal or conceptual compartmentalization. (16) Everything is part of itself. (17) Any part of any part of a thing is itself part of that thing. (18) Two distinct things cannot be part of each other. If we turn this around however, and focus on the orthogonal axis: time/subjectivity instead of space/objectivity, I think we can see a different picture. If our wholes and parts are subjects rather than objects, participatory ‘apartments’ rather than bounded compartments, then the idea of selfness and ‘itself-ness’ takes on an entirely different, opposite meaning. Note the difference; selfness is like Leibniz monad, solipsistic and divided while itself-ness includes defines sense of self as a sense of a sense of self. This relates to what I call solitropy. Every ‘one’ is an awareness of the availability of the experience of being alone or apart, which has a quality of solitude. Being apart can only be defined against a background of being unified or ‘together’. All experiences are a part of each other, but not identically so. For this to be possible, ‘likeness’ is how sense organizes and orients itself. Since we can use mereology to address topologies, and through the Stone duality we see how topologies and algebras are related, then what is required to understand subjectivity is a kind of anti-mereology. Unlike measurable forms and functions, every felt ‘thing’ (experience) is defined not only by being a part of any one thing, but instead reflects meaningful gestalts that potentially relate to all other experiences. The qualities or qualia that we experience seem to be part of an orderly palette which serves to bind us to an orderly life experience. The inexplicable perceptual notes and pigments make up this palette are exquisitely granular yet broadly inclusive, and through this, they bind us as caring participants to each moment of our life in the cosmos. Qualia doesn’t stop there, though. Serving as the orientating principle of what is sane and real to us is just the beginning. The connection of self to umwelt (niche which reflects the expectations and requirements of ourselves>culture>species>physical form) is the basis of all significance, but we have elaborated these presentational bookends of I and it into a hyper-universe of dynamically self-enriching extensions. Re-presentations. Symbols. Quantitative models, maps, and metaphors. Words. Meaning: Sensory-motive layer. The raw feels of our afferent perception and efferent participation as conscious living beings. It is this ground floor of qualia that is the direct presentation to which all layers of representation must ultimately resolve. Showing: Gestural-emotive layer. Body expression and non-verbal communication. Steven Pinker has some interesting things to say on this, although I think focusing on linguistic formalism is not the way to understand consciousness itself – rather, language is a container or vehicle for consciousness. Speaking: Laryngeal-acoustic layer. Humans are great at making and controlling sounds with our larynx and we are good at distinguishing them from other sounds. We have taken it to a whole other level, with precise mimicry and richly communicative vocal textures. Voice is not only for yelling and and whispering, but singing, orating, dramatizing, etc. Writing: Optical-graphological layer. Our visual system is good for seeing and remembering shapes and our hands allow us to inscribe those shapes on whatever suitable objects we have available. Communicating: Linguistic-symbolic layer. Speaking, writing, and expressing communication are direct qualia in themselves, but they are multiplexed also. Our understanding begins where the limits of the physical acts associated with communication leave off. Our lives continue in the hyper-reality of symbolic extension, seamlessly blended with our perception of the outside world. We see and hear direct meaning through the semiotic forms that we have adopted. Language has given us a new hyper-dimension of sense through an explosion of grammatical conventions and multi-layered semantic logics. It has opened a synthetic channel of verbal semiosis which bridges the gap between minds (as well as widening the chasm between them). In one sense, communication is a simulation of multiple separate instances, but in another sense it is a dissemination of a potentially unified common sense which is accessible from multiple locations or times. Language provides a truer isomorphism to interior experience than gross physical behaviors can provide. As in a dream, many hours or lifetimes can be condensed elliptically into a single story-time that is passed from person to person and group to group. The story itself evolves and takes on the qualities of different groups as it accumulates character specific to the times, places, and people who participate in the communication. Communication allows us to elide the gaps among the elements of stories so that what can be expressed goes well beyond the limitations of the here and now, increasing our mental capacities immensely. The spread of communicated forms elides the distance between subjects themselves and weave an invitation to commune upon a common sense. Combining these two propensities to converge subjects and subjectivities, we make possible a recovery not just of an actual whole but of a potential whole; thesis, hypothesis, communicated ideas and ideas about improving communciation of ideas. A symmetry not only of parts across space but of participation through time that intentionally amplifies and consolidates intentionality. Human creativity is a revelation of novelty, a dis-covery of a future, not only a production of useful accessories. This is not to say that all experiences exist as a priori complete facts somewhere and we are just reissuing them, but that experiences insist as potentials, and it is our participation and voluntary interest which brings them from fictional insistence into factual existence. Interest alone doesn’t magically cause things to exist, but interest motivates us to find opportunities which progress our efforts or convince us to give up. This experiential psychscape doesn’t make sense from a mechanistic perspective. Unlike conventional mereology, with subjectivity, every part of every experience is itself independent of that experience, and every distinction between experiences can only be made in the context of underlying unity between them. The functionalist has no way to ground motive in anything purely qualitative. A musical masterpiece cannot be explained in terms of quantitative terms, where any composition with the same amount of harmony and variation would have to be equally esteemed. There is no appreciation for the semantics of language, the aesthetic dimension of poetic resonance not just of forms to forms, but content to content, content to form, and formed content to novelty and revelation of unified communal truths. Something very important is missing from all of our current models of consciousness. The missing piece is not an obscure and distant mechanism but rather is the plainly obvious coherence and qualitative significance of experience itself. Instead of looking for this piece as a consequence of forms and functions in the world, we might also consider that forms and functions are symptoms of perception and participation. (Not necessarily human perception, of course). The relation between forms and functions (geometric topologies and logical algebras) has been formalized through the Stone duality. For every geometric form there is a corresponding algebraic function. I have proposed a similar correspondence in what I consider to be a more authentic representation of the cosmos in the form of the ACME-OMMM continuum (אΩc). In the אΩc, the forms and functions covered by the Stone duality are only half of the big picture. The other half, the ‘Eastern’, ACME facing half can be understood as having qualities which are perpendicular or orthogonal to those conceived of by Stone, while at the same time having common themes. Quantitative relations are rooted in the mereology of objectivity. Rules about set membership and well-foundedness present a schema of precise internal consistency. I suggest that the lack of such a schema of certainty and discrete mereology in subjectivity is not an accident, but actually is a clue as to the genuine and concretely real nature of phenomenology. Where algebra employs logical functions, aesthetics and emotion extend far beyond that to raw feeling and creative imagination. If anything, it seems more reasonable to see logic as a narrow subset within a much larger range of possible experiences – ‘transrational algebras’ which use ‘immereological’ leaps to recover gestalts from broken fragments. Algebra is anabolic, building up complex sequential functions from simpler digits. Using meaningless variable names, it extends the power of numbers to allow for the ‘coining’ of fixed relations through which a continuous process of variable value can flow. Transrational algebras, in contrast, are experiential truths which are ‘chipped off the old block’. “’Type A, happy ending’”; Foster-Harris argues that the “Type A” pattern results when the central character (which he calls the “I-nitial” character) makes a sacrifice (a decision that seems logically “wrong”) for the sake of another. “’Type B, unhappy ending’”; this pattern follows when the “I-nitial” character does what seems logically “right” and thus fails to make the needed sacrifice. Tobias, Ronald B. 20 Master Plots. Note that the three Plots are all explicitly contrary to logic. This is the story we never get tired of hearing: Don’t trust logic alone. Why should we tell this to ourselves and to our children, especially if it isn’t true? Why do we want to be told this? Even the most cynical explanation for this assumes that there is an inherent draw toward fantasy. Something about consciousness prefers fiction to fact, despite all evidence to the contrary. We can say that magical thinking is simply wishful thinking and that wishful thinking is simply orphaned wants which stem from conflicting and unfulfillable biological agendas, but how does that explain how we clothe these wishes in an inexhaustible variety of textures? It has been said for instance that Star Wars is really just a Western dressed up as science fiction. Indeed, all popular stories can be reduced to Westerns or myths, the basic plot, the Hero with A Thousand Faces, etc, but it isn’t just faces that have been randomly swapped or names that have been changed, it is a mythos, an entire world of compelling details which cohere together harmoniously, revealing an alternate realism to our own but which is added in some sense to our collective experience. Unlike logical algebra, the eidetic transrationality of fiction uses function as a skeleton on which to hang the meat of meaningful names and places. Trans-rational algebras emphasize aesthetic richness rather than computation or pragmatic function. This supports my assertion that quanta are flat qualia or even inside-out qualia. We can learn a lot just by understanding the various dialectics of subjectivity and objectivity, the literal vs the figurative, private vs public, entopic vs eidetic, qualitative vs quantitative, etc, but we can go further if take those anomalous symmetries as an indication of a deeper unity of realism. I suggest that participation and perception are not ‘energies’ which are unlike forms, but that they are the sole presentation of tangibility, and as such are neither axiomatic nor non-axiomatic. Just as the yellow light on a traffic signal is neither ‘stop’, ‘go’, nor ‘do not stop or go’, the roots of subjectivity are ‘immereological’. Think of the red and green signals as the extremes of yellow, the deterministic periphery to which perception and participation are the quasi self-deterministic center. Our ‘good’ and ‘bad’ are not only built up of generic collections of true and false but are dynamic expressions of ourselves. Just as an image on the surface of a bubble reflects the entirety of its optical context, consciousness does not require assembly from basic elements – it already is everything, it only pretends to be something in particular. The idea of ellipsis gives us a way of distinguishing how a computer assembles programmatic functions from how subjective experience is accessed. In a dream we are not aware when we have begun dreaming, or what the transition was like from sleep to dream. The ellipsis (…) in this case extends prior to the experience. Instead of elliptically referring to a pattern that continues predictably as might an arithmetic sequence (0,1,1,2,3,5,8…) the nature of subjectivity is such that we can derive an implicit sense of what is going on without having to be explicitly told – even if, as in a dream, what is going on may not make much rational sense. We find ourselves in a dream environment, with no introduction of characters or plot but without any sense of the absence of such an introduction. We are amnesiacs who may not even have the capacity to be aware of our amnesia. We arrive in our lives this way too, with a …”I must have previously joined my own life, already in progress”. It is possible that our biology prepares for us a boot sequence with an elliptical quality like this to mask any jarring questions that compromise our chances for survival, but that seems unlikely to me owing to the universality of it. What would be the big deal if we booted up like a computer, a tabula rasa that requires drivers be loaded to know how to detect inputs and outputs? Why have an illusory pretense of false continuity? Maybe a survival machine would benefit from sensing the truth about its own mechanism? Instead, I think this elliptical quality of being able to broadly generalize both before and after the fact of experience exposes one of the fundamental difference between subjective experience and objective process. We care whether things make sense or not. A machine doesn’t. With the Stone duality’s equivalence of geometry and algebra can help us understand some important aspects of subjectivity, but like all purely quantitative models, it lacks the immersion and exigency which underpins subjective realism. Although algebra can give us a key piece of the puzzle of consciousness in its etymological sense of recovery of a whole from broken parts, that recovery is generic and a-signifying. We need an algebra which begins as a division of everythingness instead of an assembly from nothingness – an elliptical transrationality which honors the many layers of perception and participation which contribute to experience. We can use Boolean algebras and game theory to model some of functions of participation such as self modeling or self interest, but this alone does not and cannot evoke the visceral realities of subjective agency. The realism of pain and pleasure cannot be simulated mathematically. This is not begging the question, it is a self-evident truth: Daffy Duck does not feel pain when he is shot in the face with a shotgun. It doesn’t matter how many Daffy Ducks, or how sophisticated their rendering is, there is still no experience of what it is like to be Daffy Duck. Unlike Conway’s game of life, biological life seems to require that there are qualities associated with their experiences rather than just the fact of the significance of those experiences to the outcome of the game. The desirability of survival may seem like a given to us, but ultimately there is no formal correlation that follows. A scripted machine needs only the ability to process the script provided – experience or quality would not and could not logically enhance that process. Talking about models and representations in the context of consciousness can get us lost so that we overlook the pool of sense from which all models are initiated and into which they all must be resolved. We make models so that we can better understand what we are modeling. To model modeling itself, we should not assume that this can be accomplished by treating the originating phenomenon the same way as we have treated the targets. I suggest that psyche is founded on the trans-rational presentations which are algebraic in the sense of recovering gestalts, but they are not limited to the logic and reason of numbers, nor does that make them imaginary or irrelevant. Consciousness is natively loose, casual, and simple. It is elliptical in the sense of being not-too-fussy about filling in the details, but at the same time giving the impression that the details are there. It doesn’t write an algorithm to dream up a character or story, it captures a feeling and jumps to a conclusion. It guesses and hopes, it lies and schemes. It is trans-rational. What started this whole series off was thinking about how causes of death, even from natural causes, is a mereological problem. Some piece is missing somewhere in the body which cascades into countless causes with a single irrevocable result. A bullet hole, a drowning, a cumulative unraveling of telomeres which stops cells from replacing themselves…its all about defective parts that break the integrity of the whole. With consciousness, the whole is not a composite of parts, it is a multiplicity of nested temporal narratives in which we play parts. It is the who and why that anchors us into the weave of space-time existence. We are not only like, as some may sneer, ‘unique snowflakes’. We are much more than that. We are uniqueness itself, turned inside out into billions of microscopic meat-puzzles that we complete. To this collection of cells, we are like an escapement mechanism; an arrow of time leading inevitably from wholeness to corruption and death. For us, the body’s escapement is our encasement, our mortal coil of cycling causes and conditions. Each lifetime another meta-mythos of experience, giving time to timeless themes again and again. Sure, I’ll read it if you like. I forgot that we live in a digital and that I can send you a PDF, Doc., or Kindle version. Unless you want a bound copy….but that just cost me money I don’t have. It’s all good, though. If a digital version works for you then send me an email address and I can send you the file.